The massive data leak reveals financial corruption among global elite. If even they can’t ensure their online privacy, should we expect to be? At the start of the year we wrote about the top 3 trends to watch for 2016. Two of those trends — federal debt and interest rates — have certainly been making the news over the past few months, but this week has been all about the third trend we predicted, cyber attacks/hacking. Dubbed the Panama Papers (because the legal firm whose data was hacked is in Panama), the leaks include a whopping 4.8 million emails, 3 million database files and 2.1 million PDFs. Yeah, that’s a lot, right? The biggest data dump in history. While some are cheering that wealthy people seeking to pay no taxes have been outed, others are questioning the origins and motives of the leak. Given that the outed parties are mostly enemies of the U.S., WikiLeaks has slammed the U.S. government for being one of the main players behind the attack. For example, the mainstream media went after Russian President Vladimir Putin despite the fact he is not even mentioned once in the millions of pages. Iceland’s Prime Minister was ousted, along with Syrian President Bashar Al Assad. The highest profile U.S. person outed was singer Tina Turner. Are you getting the picture? 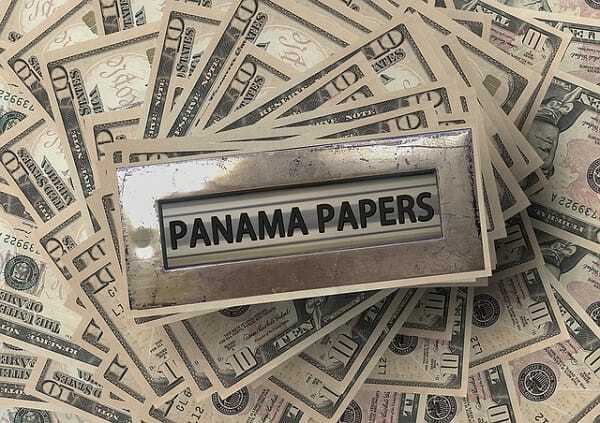 It’s as if the documents that were withheld for over a year have been filtered to leave out any of the dealings that western top level elite may have been doing through Panama. But, regardless of whether this is in fact true, the Panama Papers serve a much greater instructive purpose: Your information and digital money are not hard to access online, and could be used against you at any time. To think that in this modern era, even the most powerful people can be brought to their knees by someone with a laptop and internet connection. It is mind blowing. Even the CIA director was hacked by a teenager last year. The CIA director… by a teenager!! Let that sink in for a second. You’re talking about one of the most powerful people in the world, working for one of the most powerful organizations that operates on basically an unlimited budget with the most advanced technology… being hacked by a teen. Wow! Given how seemingly simple it is for people with the means to get their hands on this information, it would be a fair bet that bigger hacks are coming and that many truths will surface on the wrongdoings of many people in power. And in response to further attacks, we can guess that governments are going to respond like they always do, by cracking down with draconian legislation. It will further increase their powers and oversight. Clearly, there is no foolproof way to ensure absolute, 100% protection for your digital footprint. If the world’s most powerful people can be hacked — even the CIA director — then you or I stand no chance. What would happen if a major hack occurred on the banking system? What if your online details were taken and used against you? These are questions you might want to consider and safeguard against. That’s why it is important more than ever to put at least some of your savings into hard assets like physical precious metals. Not only have they been a wealth preservation strategy for decades, but they also can’t vanish into thin air. Don’t waste any more time and give us a call. We will be here to help you get started. What would happen if everyone put 2% of their money into gold? Find out here.